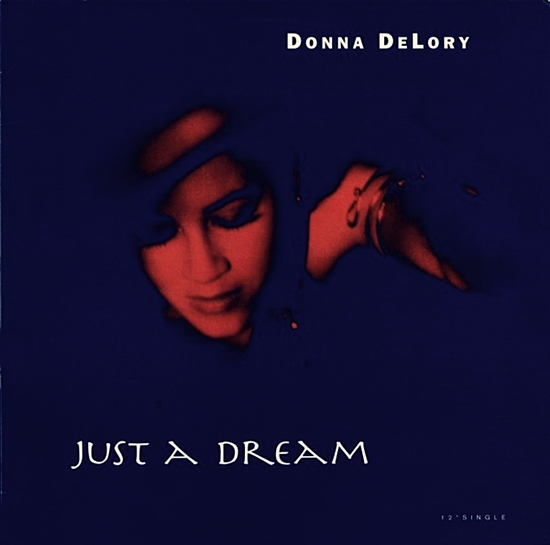 On June 5 1993, Just A Dream, written and produced by Madonna & Patrick Leonard and performed by Madonna’s long-time backing singer/dancer Donna De Lory, peaked at number-ten on Billboard’s Dance/Club chart. 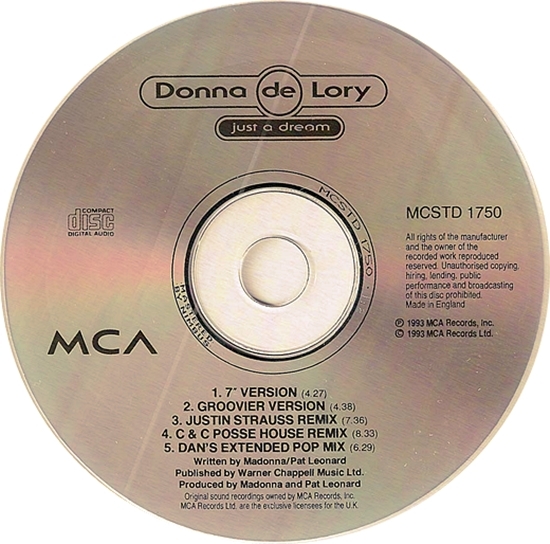 The song was released as the second single from De Lory’s self-titled 1992 album for MCA Records. 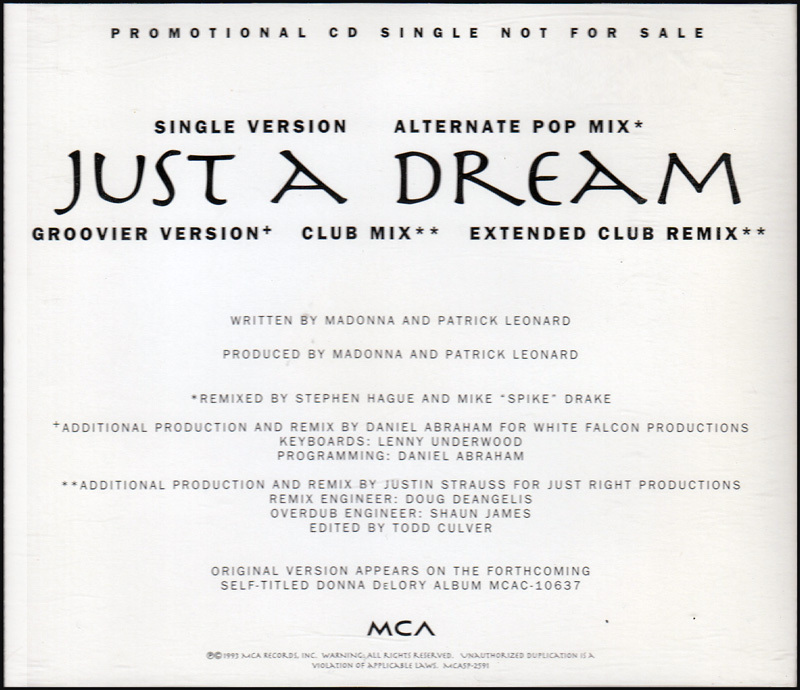 Just A Dream had originally been written and recorded during the Like A Prayer sessions. Although Madonna had clearly intended that the album move beyond the boundaries of pure dance/pop and crossover into other styles, she reportedly felt that including Just A Dream would have tipped the balance too far in the direction of rock. 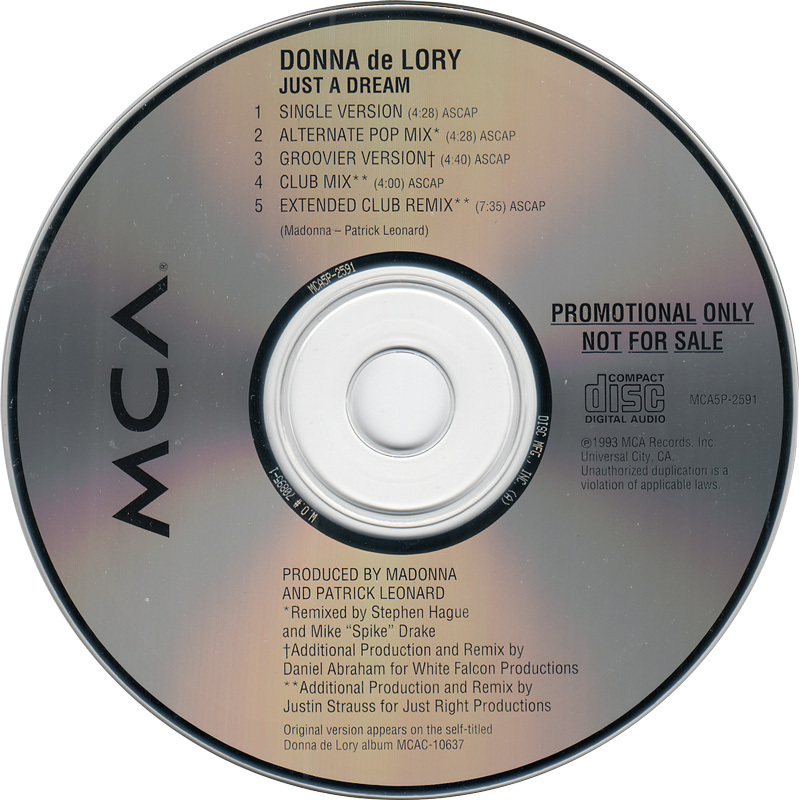 When De Lory approached Madonna a few years later about the possibility of providing a song for her first album, Madonna offered Just A Dream, sensing that the song’s rock-edge would be better suited to Donna’s vocal style than her own. Madonna did, however, allow the use of her own vocals on the track, which can be heard blending with Donna’s in the song’s chorus, bridge and, most prominently, during its fadeout. 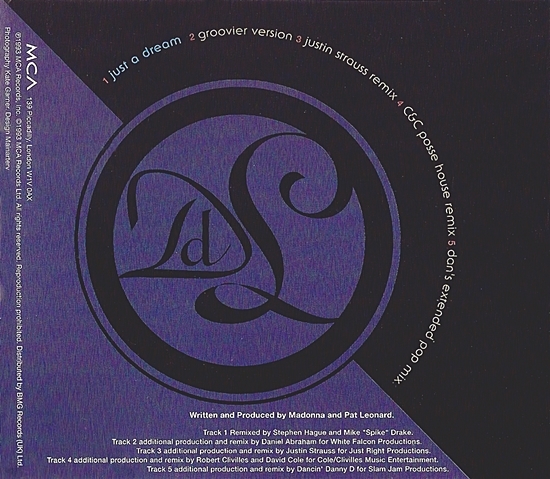 While unconfirmed, it is assumed that no new production-work – aside from the addition of De Lory’s lead vocal – took place on the released album version of Just A Dream, with the the original Like A Prayer session tracks carried over to Donna’s version and Madonna’s original lead vocal being mixed down to background vocals. The original cut, featuring Madonna’s complete lead vocal track, has yet to surface.